My nethserver is within a home environment acting as a central store for all family media. This is held with in a smb share in AD mode wich is accessed directly by multiple kodi box’s around the house. 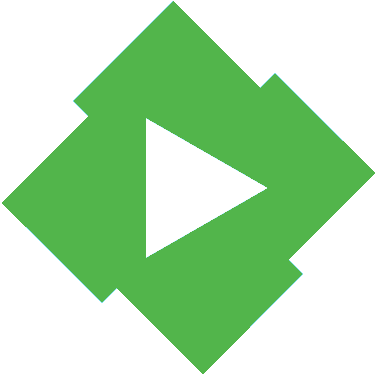 I wish to also use Emby as it’s ability to cast directly to my many DLNA devices is very good. Plus I would like to use it’s external access features in conjunction with my tvheadend server. Emby is up and running ok as in I can access the web interface. I just have two problems that I would appreciate some advice on. Firstly is getting Emby able to access the data held within the ibay folder. I realize this is due to Emby not being AD aware. That and the default user the service runs under “emby” is not an AD account. Now in the past I’ve just simply chmod -R 775 (I think from memory) to the share folder. 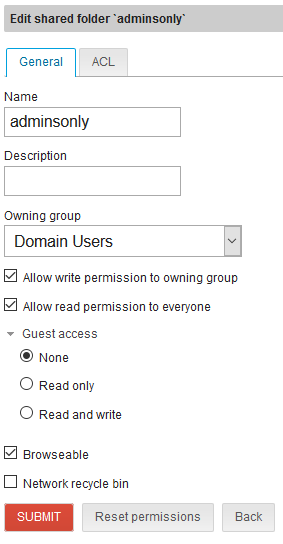 This usually works fine but I would like to know if there is a better way or some group I can add the emby user to? My second problem is how can I make the Emby server aware of the servers SSL certificate supplied by letsencrypt. In the settings of Emby when asked for the cerificate I have pointed it to /etc/letsencrypt/live/fog.cloud-d.co.uk/cert.pem but I assume again Emby dose not have permission to access. Thanks in advance for any reply’s. Any extra info required from me I will do my best to answer. Would you please share the steps you took for start your emby server? The Emby Wiki. Contribute to MediaBrowser/Wiki development by creating an account on GitHub. Thanks for your time pike not sure I understand what information your after. As the install really is as easy as just two commands. Emby is much like plex in operation. Its an installable program that you interface with via a web page. On witch you can add local folders to your emby server media library. This can then be accessed by web browser or cast direct to dnla network devices. It runs as a pam user “emby” is what I understand. Hi, The Ubiquity hardware is a well fined hardware for enterprise ( and for home ) and spread the world successfully. Perhaps, it could be a good implementation for the NethServer project to integratr easely the Ubiquity Software. For exemple, the Pfsense project integrate perfectly the Ubiquiti Wifi solution. Edit: To answer the initial topic ask… NethServer do the job perfectly. then I added all the steps for “nethifi” the setup a bit. But… it helped a bit. UniFi requires some other linux components (Java, mongodb). I hope that the project explain “how it works, and how it’s connected to Linux”, so a skilled enough linux guy could be able do “adapt” it to his enviroment. NethServer lays over Centos, but into development documentation is explained how. I were not able to find it for Emby on the site… after a quick search, i had to admit. 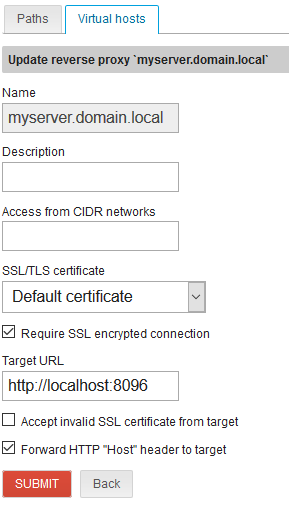 My second problem is how can I make the Emby server aware of the servers SSL certificate supplied by letsencrypt. It’s easier to use a virtualhost reverse proxy. This way you can reach emby by browsing to https://myserver.domain.local (adapt to your virtualhost) and you don’t need to open additional firewall ports or setup SSL in Emby. I had all ready read in another thread with regards to the “allow read permission to everyone” option. At first this did not work for me but turns out I just needed to restart the server as Emby can now access the data.